The information about "Mëkanïk Zaïn" is wrong; it's about 16:00 long. But it can't be "Remixed for ME by Christian VANDER and Francis LINON" since they have skipped the incredible bass introduction by Jannick Top on the about 19:00 long version of that title on the original "Magma Live", bass introduction which is almost the reason why I've bought that bloody remixed version. 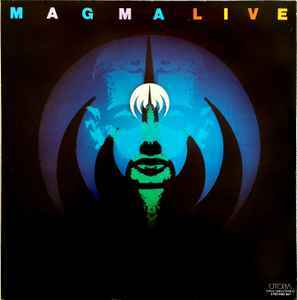 is this the same as http://www.discogs.com/Magma-Live/master/7609 ?